Composer AR Rahman is all praise for director Shankar’s vision for his film 2.0 starring Rajinikanth, Akshay Kumar and Amy Jackson. Rajinikanth-starrer 2.0 is gearing up for a grand release on November 29, 2018. The film, directed by Shankar, is a sequel to Endhiran which released in 2010. 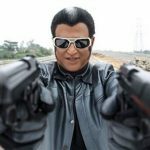 However, 2.0 is not a continuation to Endhiran and has a new premise altogether. While the post-production work has been progressing briskly, the film’s composer AR Rahman has opened up about the film to a television channel. The Oscar winner is all praise for director Shankar and his vision for 2.0. “Only Shankar is capable of such thinking. We should be proud that he is an Indian doing such high level of work. He is this ‘Iron Man’ who has held on for so long without any compromise in quality. Any other director would have just given up,” Rahman added. 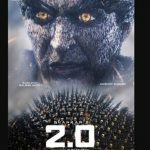 AR Rahman has composed three songs for 2.0, out of which two songs have been released. The two songs, Rajali and Endhira Logathu Sundariye, went on to become chartbusters. 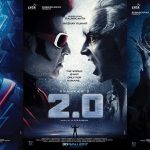 The album of 2.0 was unveiled at a grand audio launch held in Dubai. The film marks Bollywood actor Akshay Kumar’s debut in Tamil. Actress Amy Jackson will play the heroine in this sci-fi flick, which is produced by Lyca Productions, on a mammoth budget of Rs 450 crore. 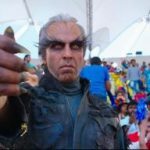 ALSO SEE | Rajinikanth’s 2.0 to undergo several changes?